Monday Night Movie – Clerks! Be here tonight at 6PM Pacific / 9PM Eastern to watch the cult classic that taught a generation of nerds how to care too much about useless minutiae. We’re watching Clerks! Join Chris, Matt, and “Diamond Dog” Dave Rudden LIVE on Youtube as we watch 1994’s classic indie underdog. How does it hold up? What are you feelings on Kevin Smith? Where were you when this came out? Let us know in the chat! 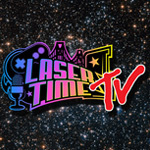 If you miss the LIVE viewing you can pick it up along with all of our other commentaries a la carte on Laser Time’s Bandcamp or get over 100 commentaries and over 100 podcast episodes on Laser Time’s Patreon!